Keytruda not enough to lift Merck – so will it turn to M&A? Merck & Co. managed to increase revenues by just 1% in 2017 to $40.1 billion, reflecting a sharp decline in sales of its cardiovascular blockbuster Vytorin following patent expiry. Sales of its biggest earner, diabetes franchise Januvia/Janumet also declined 3% to $5.89 billion because of growing price pressure and newer competitors. Offsetting these declines was growth in hep C drug Zepatier, anaesthesic Bridion, and most especially immune-oncology blockbuster Keytruda. Its revenues increased 172% to $3.8 billion for the full year, with similar growth expected this year – but this still won’t be enough to lift the company’s overall performance. Merck is forecasting limited growth in 2018, and some investors are calling for the company to join the M&A market, which has sparked into life since the beginning of the year. 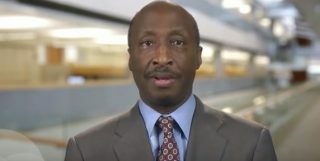 CEO Kenneth Frazier says he is nevertheless reluctant to go beyond ‘bolt on’ acquisitions, saying that mega-mergers historically have failed to bring shareholder returns. Like much of corporate America, Merck is a beneficiary of the new changes to US taxes. Merck says the lowered taxes gives it financial flexibility to invest in “sustainable long-term value creating opportunities”. In addition to its planned expenditure on R&D and rewarding shareholders, the company says it will also invest around $12 billion over five years in capital projects, including about $8 billion in the United States. It also made a contribution to its philanthropic fund the Merck Foundation in the fourth quarter of 2017, and plans to give its non-executive employees a bonus in the second quarter of 2018. 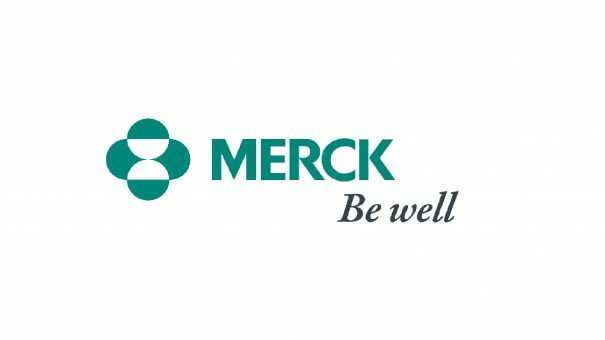 Despite Keytruda being set to continue its rapid expansion, plus growth from other new brands, Merck forecasts growth in 2018 to be even more limited like 2017. It expects to achieve less than 1% for the full year, thanks to ongoing decline in its older products. Its revenue forecast is for between $41.2 Billion and $42.7 Billion, including a 1% positive impact from foreign exchange. 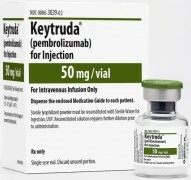 Key developments for Keytruda include its recently announced phase 3 KEYNOTE-189 trial of the drug in combination with pemetrexed (Alimta) and cisplatin or carboplatin, for the first-line treatment of patients with metastatic NSCLC). This met its dual primary endpoints of overall survival (OS) and progression-free survival (PFS), the first immuno-oncology combination to demonstrate this efficacy in the patient population. The FDA is also reviewing Keytruda for treatment of adult and paediatric patients with refractory primary mediastinal B-cell lymphoma, or who have relapsed after two or more prior lines of therapy, with a decision expected on 3 April. Finally, the US regulator has also granted the drug a Breakthrough Therapy Designation for use in combination with Eisai’s multiple receptor tyrosine kinase inhibitor Lenvima (lenvatinib) in advanced and/or metastatic renal cell carcinoma. This represents Keytruda’s twelfth Breakthrough Therapy Designation, and will help it keep it ahead of its competitors in the immune-oncology field. Merck is also talking up its collaboration with AstraZeneca, with whom it is is now co-marketing its PARP inhibitor drug Lynparza. Merck’s R&D head Roger Perlmutter said the companies now have a ‘detailed plan’ for expanding its use beyond the hormonally responsive tumours of ovarian and breast cancer, and into settings such as pancreatic cancer. This includes its use in combination with Keytruda. On Friday’s call with analysts, Goldman Sach’s Jami Rubin questioned Kenneth Frazier’s “reluctance to be more aggressive” with the firm’s strategy, including major M&A. In response, Frazier explained his previous stance – but equally ruled nothing out. “If you look at the history of so-called large transformational deals, they haven’t necessarily provided the ability to those companies when they finish their synergies to drive their pipelines going forward. Given the US tax windfall, as well as pressure from investors, it looks more likely that Merck will make a move – although it still has to choose a suitable M&A target that makes good business sense. One company that is currently top of mind among M&A targets is Vertex, its cystic fibrosis franchise now looking set for very significant expansion.